To enter the giveaway, you must be a member of Goodreads. Just click on the handy-dandy widget below! Are you on Goodreads? If so, I’m giving away five signed copies of my first book, Just the Sexiest Man Alive, so be sure to head on over to Goodreads to enter! You can enter the giveaway by following this link, or by clicking on the handy-dandy widget below. This link will take you to the giveaway. You must be a Goodreads member to enter. 1. 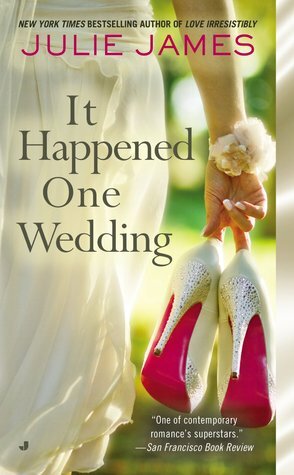 Two ARCs of my upcoming release, LOVE IRRESISTIBLY, are up for grabs here at my blog. To enter, follow this link and leave a comment there. Open internationally, runs through Sunday, February 3rd. 2. Berkley is giving away twenty-five (25) copies of A LOT LOVE LIKE, book 2 in my FBI/US Attorney series. (Note: if you are new to the series the book is easily read as a standalone.) To enter, you must be a Goodreads member, and then follow this link. U.S. only. (Sorry guys, Berkley’s rules.) Runs through February 15th. 3. 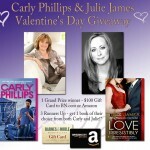 Finally, Carly Phillips and I teamed up and we’re giving away a $100 gift card to either Amazon or Barnes & Noble, plus 3 runners-up will receive a book of choice from each of us. To enter: follow this link and fill out the form there. Open internationally, runs though February 14th. And, actually, if you click on the pictures at the top of this blog, that’ll take you directly to each giveaway as well. It’s that easy. Hey all! Wanted to let you know about an awesome giveaway. My publisher is offering up twenty-five (25) copies of A LOT LIKE LOVE over at Goodreads. So if you’re curious about the FBI/US Attorney series, or if you like free books (and who doesn’t like free books? ), be sure to drop by Goodreads and check that out. For your convenience, here’s the link where you can enter the giveaway. Good luck! More info about A LOT LIKE LOVE, including an excerpt, can be found here.